ON Tuesday October 7th from 5-10pm you are invited to our PIZZA GUIDE RELEASE PARTY! 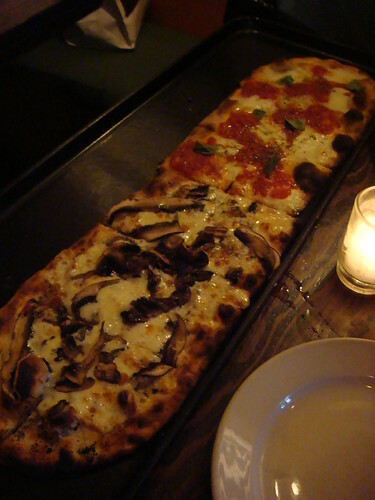 The L’asso Pizza Guide – the definitive guide to pizza – will be carried as a NYC Onion insert (10.9.08). 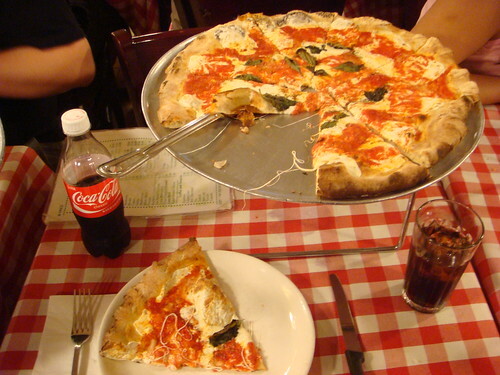 The guide is a humorous and informational guide to pizza – from its humble beginnings in ancient times to its current incarnation as one of the world’s favorite foods. It’s been a year in the making! Be one of the first to check it out before the rest of the world gets to see it. DJ, PIZZA SAMPLING, BOOZE plus the unveiling of a few new pizza recipes we’ve been working up, be the first to try our new inventions! I checked out L’asso in NYC a couple months ago, but never got around to writing it up here (I did get some photos though). 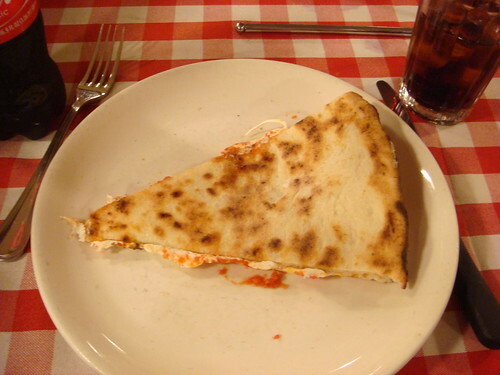 In short, it’s pretty fancy: the form factor of the pizza is unusual, but it was good regardless. I expect this event to be delicious. By the way, I’m psyched to see some pizza humor by the people at The Onion… geniuses. Last night I moved in to the room I will be subletting in Brooklyn for the summer. Needless to say, I’m excited about the pizza potential (and other general food stuff) for the next few months. I’ve decided that I want to eat out as much as possible while I’m here, even if it ends up costing me more. 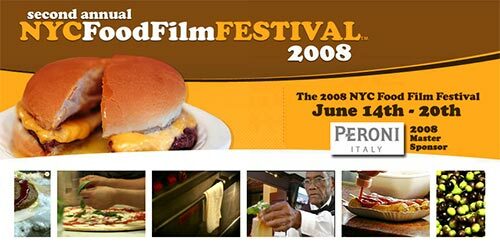 It seems that I timed my move perfectly: the 2nd annual NYC Food Film Festival is under way, and tomorrow there will be a screening of 3 short pizza-related films in the parking lot next to one of my all-time favorite pizzerias, Grimaldi’s, in Brooklyn. 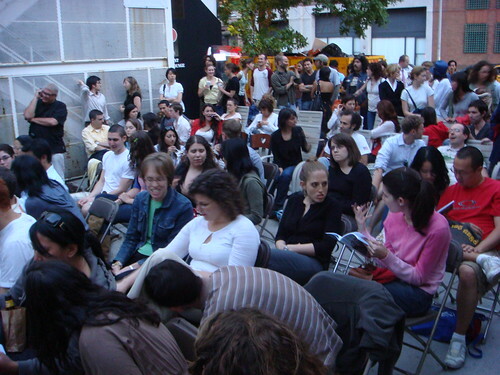 The event is free, with food starting at 7:30pm and the screenings at 8:30. Tomorrow, 17 June. Rain or shine. 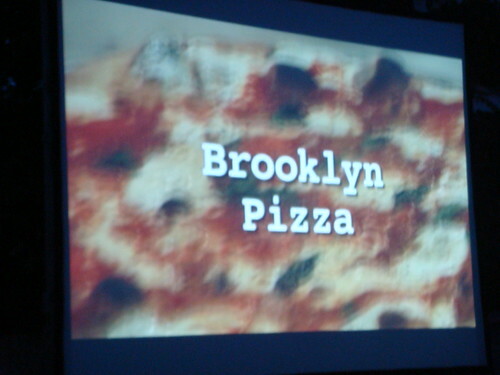 Grimaldi’s is at 19 Old Fulton St in Brooklyn, literally underneath the Brooklyn Bridge. 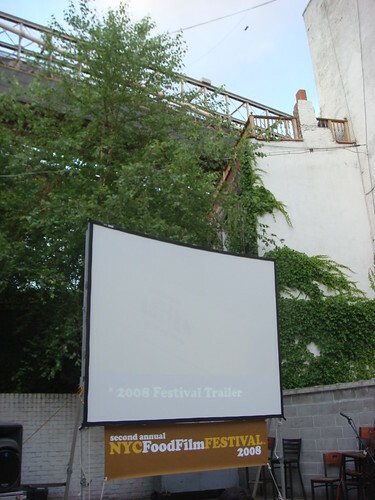 For more info, check the Film Festival schedule.